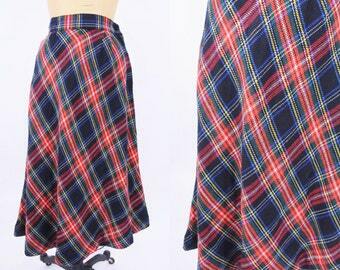 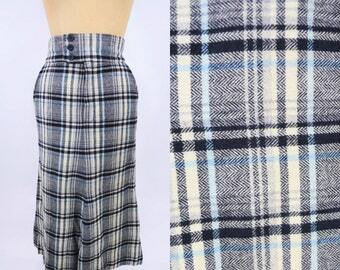 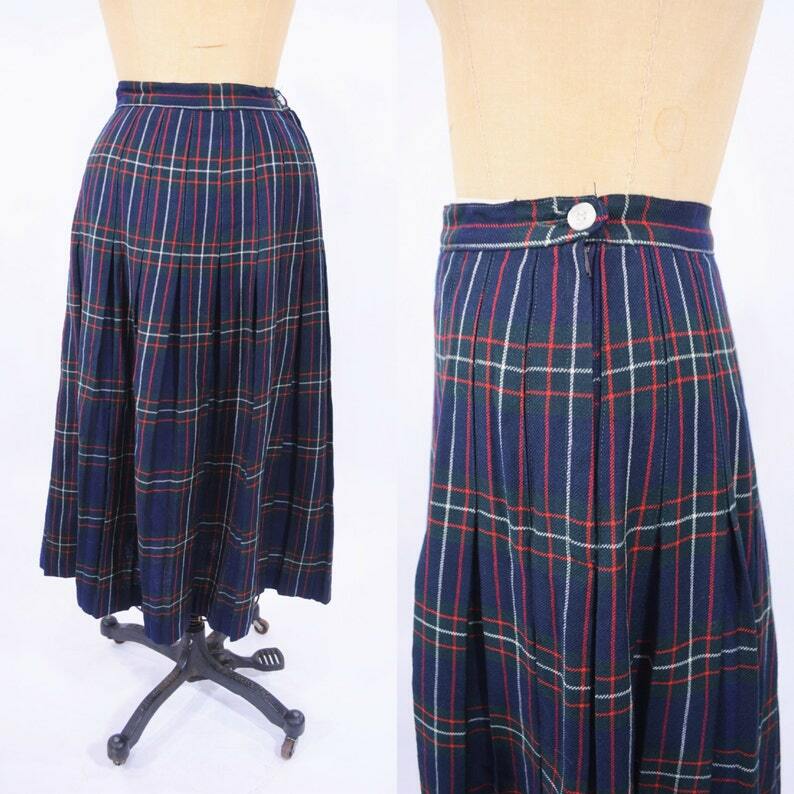 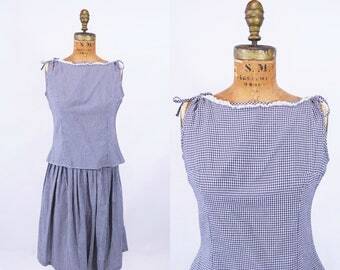 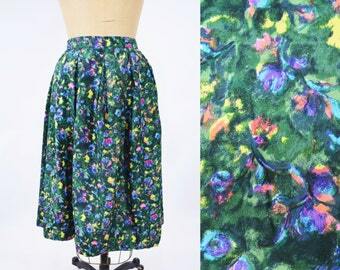 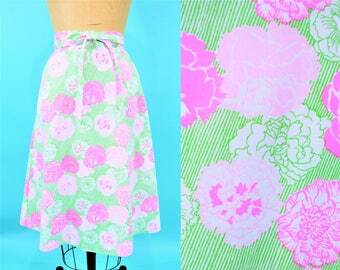 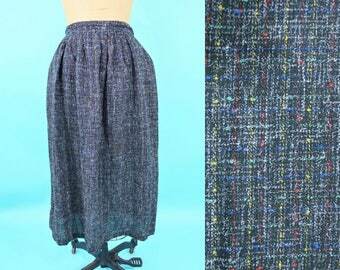 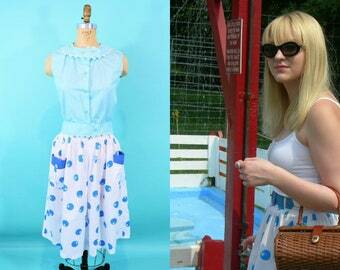 This 1960s skirt is classically plaid and pleated! 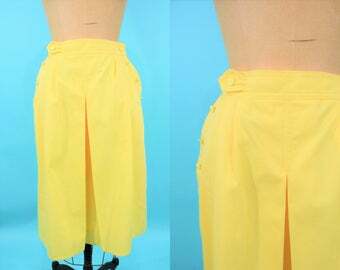 Has a side metal zipper and button closure on the waistband. 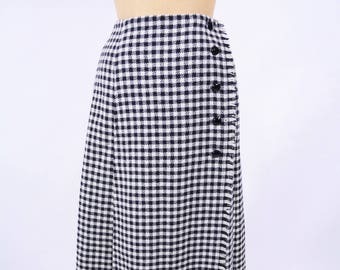 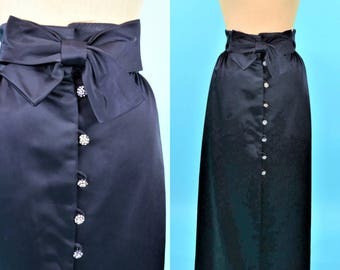 1960s checkered skirt | black white wool vintage maxi | W 28"
1960s maxi skirt | black satin bow waist rhinestone button vintage formal skirt | W 28"
1940s evening dress | pink beaded collar black full vintage skirt | W 29"
80s multicolor skirt | black colorful pencil vintage skirt | W 25"
1970s wrap skirt | Liza by Lily Pulitzer pink floral vintage skirt | W 28"